WALK-INS WILL NOT BE PERMITTED FOR THIS EVENT!! Join NJTMA colleagues, ECBF Young Lawyers Section and Union County Bar Association for a pre-game happy hour at Redd's Biergarten and Game Seats in Section 22 of the Prudential Center! Come enjoy the a pre-game happy hour at Redd's, followed by the game in Section 22 of the Prudential Center. Congratulate the scholarship winners and network with colleagues from the ECBF Young Lawyers Section, and the Union County Bar Association! 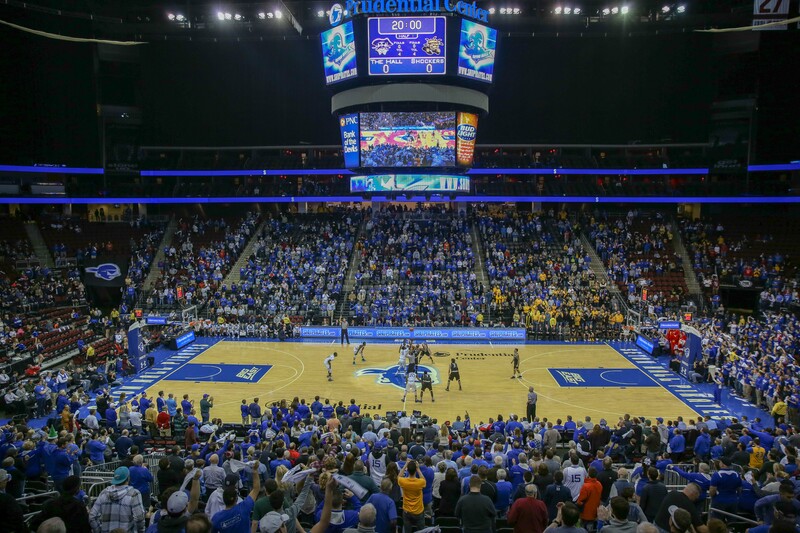 During the game, we will present the NJTMA & George Mehm Scholarship to 2 deserving undergraduate business students from the Stillman School of Business at Seton Hall University. In its fifth year, the scholarship is funded by the New Jersey Chapter of the Turnaround Management Association and by Seton Hall University alumnus George Mehm. Register early as tickets are limited and this event is expected to sell out. Cost includes Happy Hour at Redd's Biergarten (appetizers and two drink tickets - wine and beer only), 37 Edison Place, Newark and game tickets in Section 22 of the Prudential Center. Already have game tickets? Happy Hour admission may be purchased separately for $50. Questions on the event or scholarship?